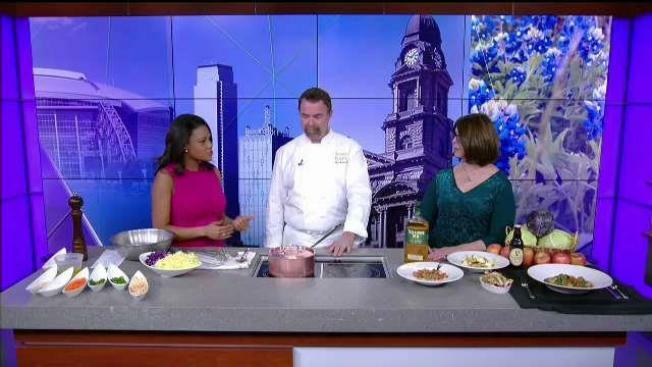 Samantha speaks with local musician and Board Member of the Southwest Celtic Music Association, Betsy Cummings, and Executive Chef at Perle on Maple at Le Méridien Dallas, Chef Wade Burch, to discuss the 2019 North Texas Irish Festival. The three day event happens March 8-10 at Fair Park in Dallas. To learn more, visit www.NTIF.org. NBC 5 and the Southwest Celtic Music Association invite you to experience amazing music, dance and food to celebrate the rich tradition of Irish Culture at The North Texas Irish Festival, Friday, March 8 through Sunday, March 10 at Dallas Fair Park. This family-friendly event features live music, dancing, storytelling, chef demonstrations and more on 13 stages throughout Fair Park. Attendees will also experience horse shows, sheepherding demonstrations, beer and whisky tasting, genealogy research opportunities, shopping animal rescue groups, child-friendly entertainment and free arts and crafts. New for this year is another opportunity to kick up your heels for the first-ever North Texas Irish Festival Fun Run, to take place Saturday, March 9. This fun run is perfect for runners or walkers of any age or ability, and also for dogs! All registered participants will receive a T-shirt, “bottle opener” medal, one ticket to the North Texas Irish Festival and two beers after the run, if they are the legal drinking age. This non-timed 5K fun run will benefit Friends of Fair Park and the Southwest Celtic Music Association. Being the festival’s 37th year, this cultural celebration in DFW is named one of the largest Irish Festivals in the U.S. Don’t miss out! For more information or to purchase tickets, visit www.NTIF.org.